She has an open rear deck and large sliding roof to the saloon, this enables passengers to enjoy the benefits of global warming or shelter from the occasional shower. 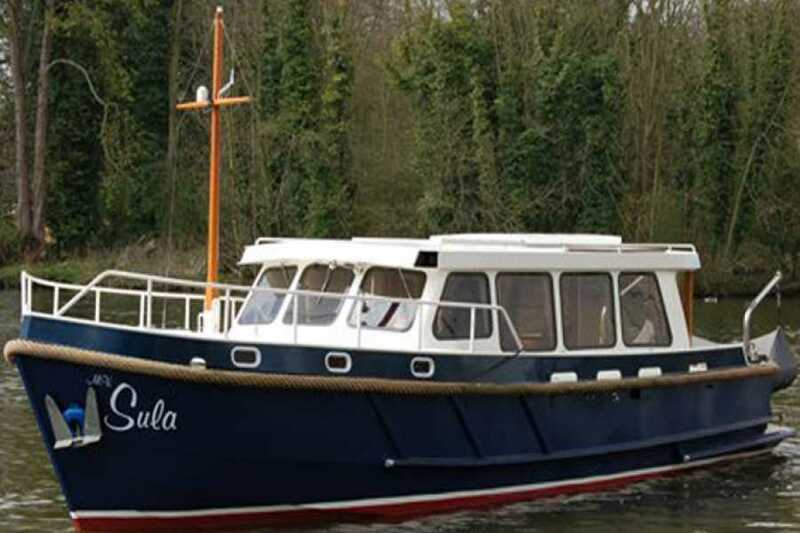 Sula is licensed for 12 passengers. 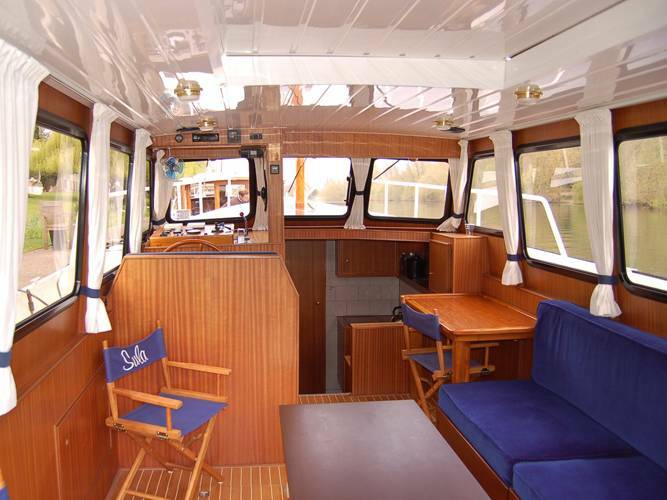 Parties of up to 36 can be catered for by chartering a second, or third boat. 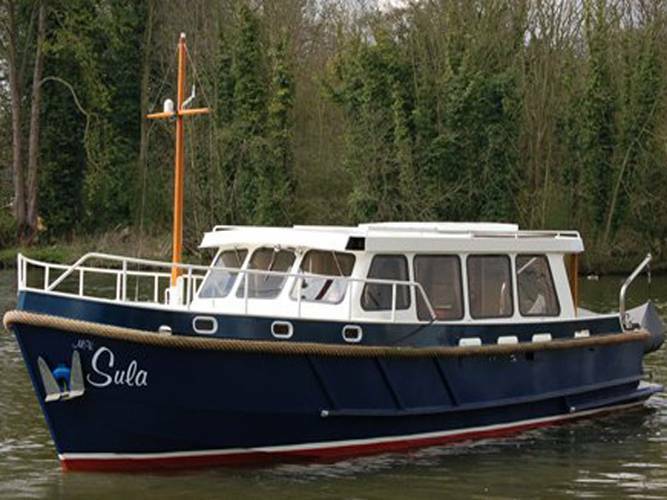 Sula is based at Oakley Court Hotel and Bray Marina cruising between Marlow and Windsor, depending on your trip you may pass through Cookham, Bourne End, Bray and Windsor. 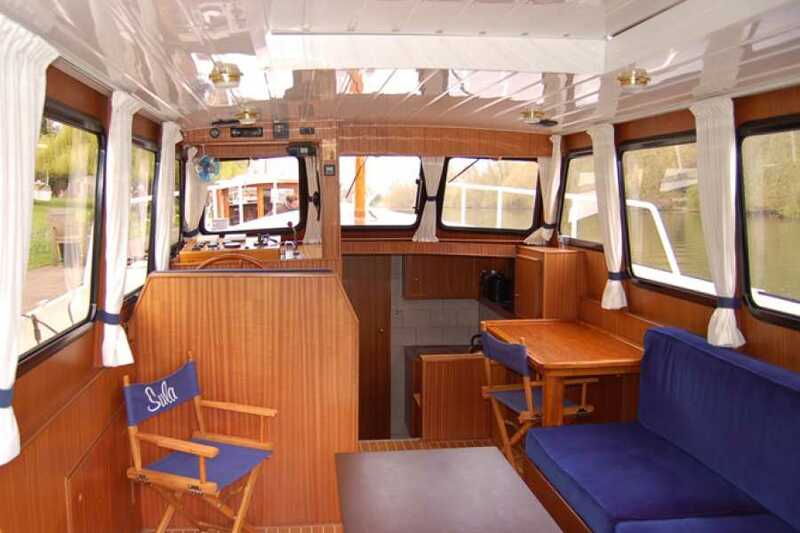 She can be hired as transportation to one of the many riverside restaurants/hotels or can be enjoyed as a venue for a picnic lunch, dinner, afternoon tea or simply sightseeing. All of the vessels are hired with a fully qualified experienced skipper, Certified under the Boat Safety Scheme, carry £5 million passenger liability insurance, lifejackets, first aid kits and firefighting equipment.